With over 22 years in the United States Air Force, John spent 15 years in the Air Education and Training Command managing and supporting education and training programs. He has an extensive background in training management, course development, training plans, training improvement and implementation. Additionally, John has established key partnerships with IT professionals and added resources expanding the company’s capabilities in the field of Information Technology. Some of these core services include database management, server administration, application development and maintenance and support of enterprise systems. As a result, he has positioned the company to provide agile IT services and solutions in addition to Education & Training Management. Linda is a specialist in database and web technologies, data management, and information architecture. She is also an expert in DoD and Federal agency security standards compliance and production support of Defense Information Systems Agency (DISA) Enterprise Information Systems. She has over 15 years of senior IT support to the United States Air Force and Air Education and Training Command (AETC). Past accolades include both the “Chief of Staff Team Excellence” Award and the “AETC Top Technical” Award. Dr. Jim Larkins was born in Mesa, Arizona. As an Air Force “brat,” he moved frequently during his childhood. In July 1972, he began his career with the Air Force as a guidance counselor at Clark Air Base, Philippines. He held several positions in the Air Force Voluntary Education Program before joining the Community College of the Air Force (CCAF) in 1979. He held positions as a Program Manager, Assistant Curriculum Director, Education Services Advisor, Director of Institutional Effectiveness, and Associate Dean. He served as CCAF’s Dean of Academic Affairs for nearly 4 years before retiring in December 2011. As CCAF’s Dean he was responsible for the development of academic degree programs, establishing academic goals and strategies for the College, and advising military leadership on accreditation issues. Dr. Larkins oversaw 68 career-related AAS degree programs and related academic credentials. Dr. Jonathan E. Taylor is an Assistant Professor and coordinates the Adult Education graduate programs at the Montgomery Campus of Troy University, AL. He holds a Ph.D. in Educational Psychology and Research from the University of Tennessee. Prior to his academic career, he spent over a decade as a training coordinator and instructor in workplace contexts. His areas of expertise and scholarship are adult learning, conceptual change, learning resistance, training transfer and workplace training and development. After serving in the United States Air Force for over 20 years, Dr. Joe Reynolds became full time faculty at Troy University in 2004. He has earned a bachelors in Electrical Engineering from the US Air Force Academy, a masters in Telecommunications Science from the University of Colorado, an Ed.S. in General Education Administration from Troy University, and a Doctorate of Education in Curriculum and Instruction from Auburn University. His primary interests are adult learning, curriculum development, student evaluation, instructional methods, and instructional design. Kris joins BLUERIDGE with a strong background in government related positions. She is an Air Force Reserve Officer with the Office of the Secretary of Defense, has served as a Government Service employee within the Homeland Security industry, and has worked with Air Force and Veterans Administration related programs for the past five years. She is an expert in Air Force/Department of Defense contingency/steady state planning, continuity of operations planning, and cybersecurity operations. Kris currently serves as the lead for Customer Relations on all BLUERIDGE contracts. In this role, she also leads the business development team creating positive business relationships with our customers and partners. Kris stays informed on the status of each project and regularly engages our program/project managers. This allows Kris the opportunity to help build and shape our business development function ensuring BLUERIDGE’s continued success. The multiple leadership seminars, courses, and Professional Military Education she has attended during her tenure with the government provide unique capabilities to the team. Brian has a diverse background specializing in Instructional Systems Design, E-Learning, certification programs, and curriculum and academic operations. He has over 15 years as an experienced educator with a strong background in information technology. His main areas of focus include software development, gamification, organizational learning, web and mobile development. 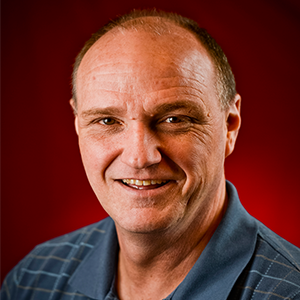 Brian’s background includes certifications in Instructional System Design, Structured Query language, Professional Management, and as a Certified Production Technician.